That must be one fancy potato. 1. 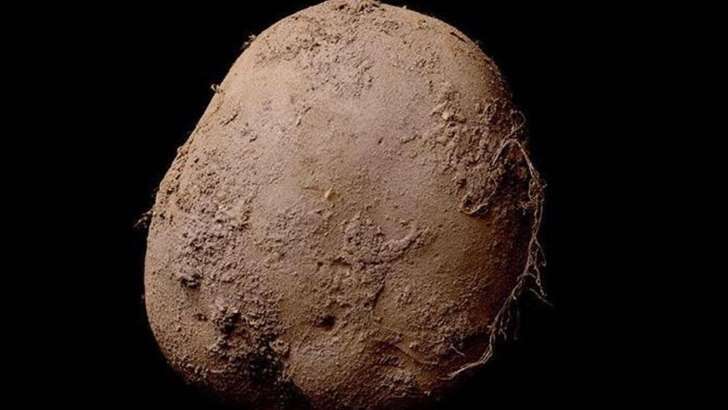 A European businessman has purchased this photo of a potato for 1 million euros ($1,086,950). Is this first time you are hearing or seeing an image of this expensive potato? 2. Of course, it's probably not the potato itself that made the photograph so pricey. It was taken by acclaimed photographer Kevin Abosch in 2010 and is one of three versions of the print in existence. Abosch says it's the most expensive photo he's ever sold, and most of his work typically goes for around $280,000. Are you familiar with Kevin Abosch's photography? 3. Businessman buys photograph of a potato for €1m http://ind.pn/1VjQJNT - Still, that's an absurd price to pay for a photo of a potato. Do you agree with this statement?